INTENSE Hosted Cookout A Success! We want to thank everyone who attended the Greater Ohio Club Grand Prix Picnic event we hosted here at INTENSE. The turnout was great and the food was awesome. Hamburgers, chicken, hot dogs, and a plethora of side dishes and desserts were demolished by a bunch of great people who spent hours talking cars, mods and football (Ohio State was playing). We had over 30 cars and about twice as many people and we look forward to doing this event again next year. Thanks to GOCLUBGP for bringing the meat, Mike Murphy for doing the grilling, Tracy Bright and Scott Cook for loaning the grill, and everyone for having a good time. 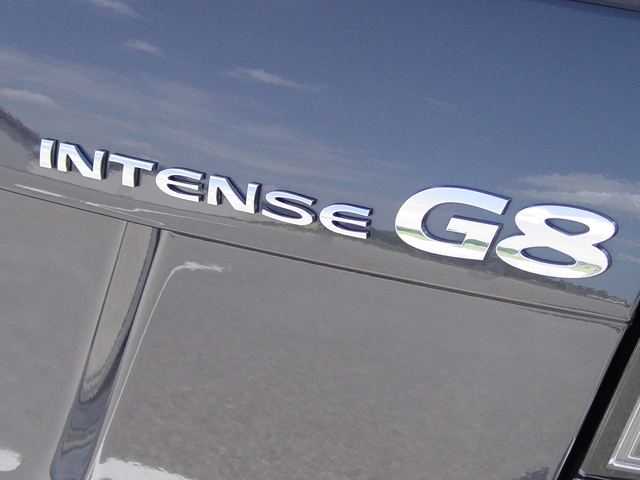 New INTENSE Chrome Badges Available! 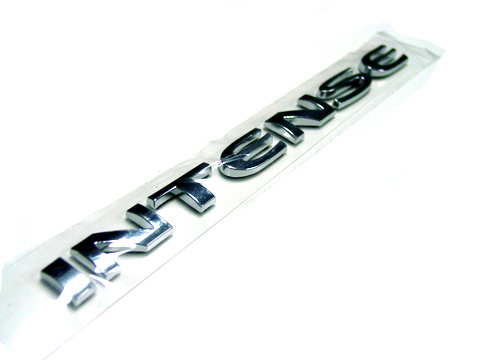 We just received our first batch of new INTENSE Chromed Emblems. These are the perfect exterior accessory for your INTENSE powered vehicle. These emblems are 6 inches long by 1/2 inch tall, are prepared for peel and stick and come in singles for $15 or pairs for $25. The first batch may not last long so be sure to get yours today! You’ve seen pictures of the quality of our prototype INTENSE Camaro Twin Turbo Kit. You’ve seen the videos of the awesome sound and power it produces. You’ve read the owner’s testimonial after driving it from Columbus to Florida. Now, finally, you can experience this excitement for yourself. Along with everything included in the kit, we recommend the following items with this or any other forced induction kit. While these items are not included and are not required, we consider adding them the right way to make power safely and maximize performance gains. Aftermarket Exhaust system such as Corsa, SLP, or Magnaflow. Installation time is approximately 20 hours at our normal labor pricing of $75/hour. The first 8-10 installs must be done here at our shop. This will allow us to make sure that our customers are happy and satisfied with the kit as well as allow us to streamline installation instructions and procedures. Pricing is not completely set as we are still waiting on some quotes to be finalized on various kit parts however all pre-orders placed during the month of September, 2009 and secured with a 25% deposit will get this listed pricing even if the final pricing goes up. Orders and installations will be handled on a first come first serve basis. Place your order today and amaze your friends, wow your family, and put a smile on your face every time you drive your INTENSE Twin Turbo powered Camaro. Free Order #19000 Winner Announced! Congratulations to James Keith of Birchwood, TN. His entire order which consisted of some 4T65E-HD transaxle parts was completely FREE!. We want to thank everyone who participated in this always exciting event. Be sure to watch for our next FREE order give away at order #20000.